This the second annual reminder that we are NOT doing thanksgiving, and Christmas is on it's way out too. We are tired of them, they are not fun and thanksgiving has nothing to do with thanksgiving anymore, it's all about imposing on people and stuffing your face with food that is beyond boring. Christmas is purely commercial and I never much cared for the "religious" parts of it anyways, since Jesus was NOT born in or even near December. INB4 "you're a scrooge" STFU! Why? Because screw you! That's why! EAT YOUR BURGER AND GTFO! 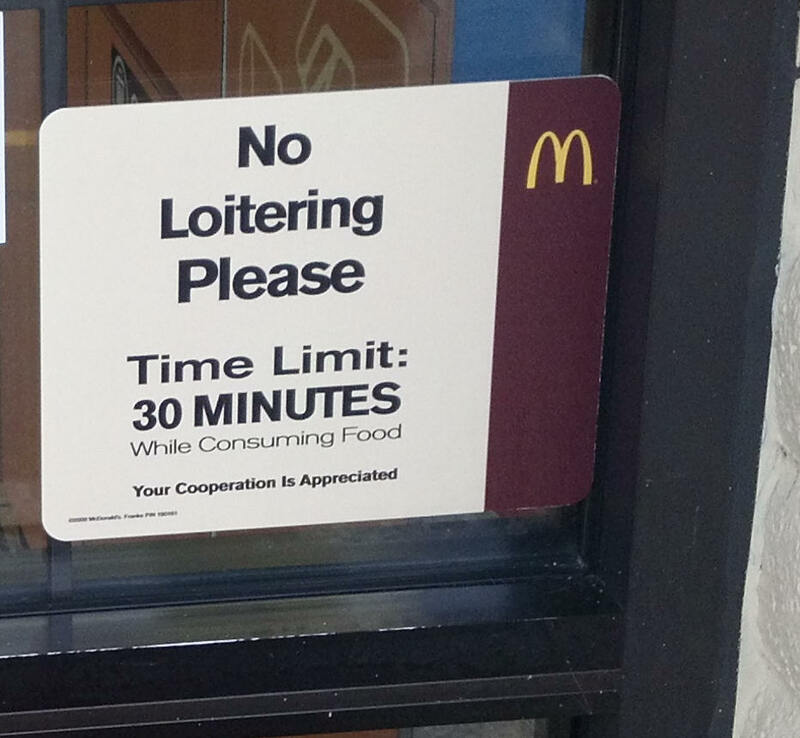 On the door at a McDonald's I-5 and Northgate in Seattle, WA.